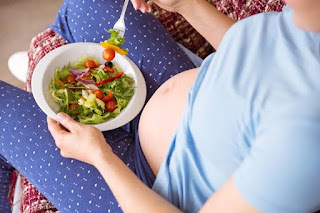 As a nursing or pregnant mother, one of your biggest worries is how to provide the best for your baby, which includes the diet and food materials which would be the best for your baby. Whether your taking foods rich in fish oil before pregnancy or taking good amount of fish during breastfeeding either of them can actually be very healthy for your child's brain. According to Laitinen, a mother during pregnancy and breastfeeding is the main way that valuable long-chain polyunsaturated fatty acids become available to a fetus and infant brain during the period of maximum brain growth during the first years of a child's life. Such fatty acids help to shape the nerve cells that are relevant to eyesight and particularly the retina. They are also important in forming the synapses that are vital in the transport of messages between neurons in the nervous system. In this study, Laitinen and her colleagues analysed the results of 56 mothers and their children drawn from a larger study. The mothers had to keep a regular food diary during the course of their pregnancy. The team recorded the levels of nutritional long-chain polyunsaturated fatty acid sources in the mother's diet and blood serum, and the levels in the blood of their children by the age of one month. Their children were further tested around their second birthday using pattern reversal visual evoked potentials (pVEP). This sensitive and accurate, non-invasive method is used to detect visual functioning and maturational changes occurring within a young child's visual system. The subsequent analyses of the visual test results revealed that infants whose mothers ate fish three or more times a week during the last trimester of their pregnancy fared better than those whose mothers ate no fish or only up to two portions per week. These observations were further substantiated when the serum phospholipid fatty acid status was evaluated. "The results of our study suggest that frequent fish consumption by pregnant women is of benefit for their unborn child's development. This may be attributable to long-chain polyunsaturated fatty acids within fish, but also due to other nutrients like vitamin D and E, which are also important for development,"
who believes that their results should be incorporated into counselling given to pregnant women about their diets. We've ever arrive across on this subject. Actually Excellent.